For six years I served on the Regional Judicial and Legal Service Commission (RJLSC), the regional body responsible for the supervisory management of the Caribbean Court of Justice (CCJ). The RJLSC has no jurisdiction over the hearing and deciding of cases before the court. Judging is exclusively the court’s business. 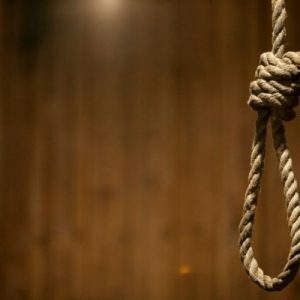 I gave up the time to serve on the RJLSC following the leadership of the Privy Council’s open statement, in 2009, that Caribbean appeals were taking up too much of their judicial time and were disproportionately death penalty cases. One was not sure how much attention our cases would receive in London in that atmosphere. 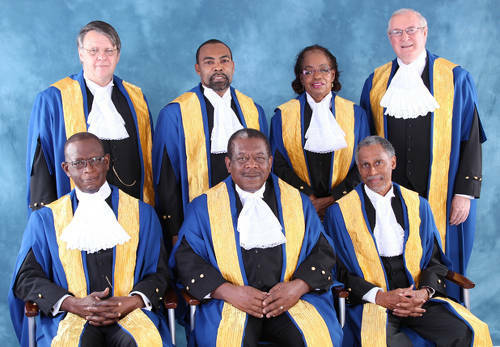 Photo: Caribbean Court of Justice judges. By that time, appearing in cases before the Privy Council had provided an understanding of the legal culture prevailing there. 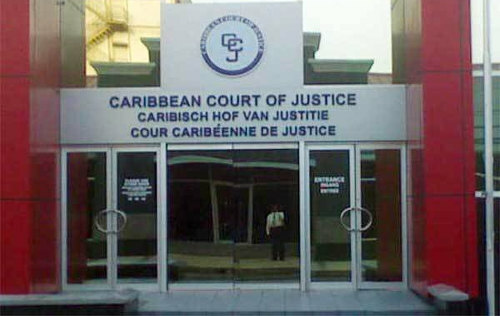 In addition, the Caribbean Court of Justice had established the excellence of its judicial output. I was sure therefore that we needed finally to make the break from London because we had something of our own of top quality grounded in the laws of the region. Readers therefore may be shocked that I was not surprised one bit by the recent defeats of referenda in Grenada—the second time—and Antigua that sought authorisation from the people to replace appeals to the Privy Council with appeals to the CCJ. Just to be clear, this column relates to the appellate jurisdiction of the CCJ. The CCJ has an original jurisdiction separate from its appellate jurisdiction. In the exercise of that jurisdiction it tries cases arising out of the Treaty of Chaguaramas, to which regional governments are parties and which established Caricom. One prominent original jurisdiction case was the Shannon Myrie immigration matter brought by a Jamaican national against the government of Barbados. So why was I not surprised that the CCJ got two more cuff? 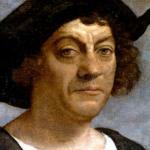 Respectfully, it has little to do with the arguments about being colonial relics and completing our Independence. It has something to do with post-colonial insecurity, as well as craving foreign validation—sometimes reflected in shadings and straightening unnecessarily to alter unappreciated natural beauty. 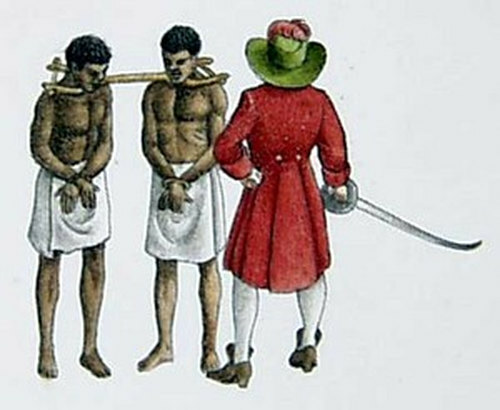 Photo: An artist’s depiction of colonialism. Principally, however, the rejection of the CCJ is a function of low public trust and confidence in our institutions and deep seated fear of relationships and hobnobbing with regional politicians. I know it and I felt it in Grenada, when officially there before the first Grenada referendum was held in 2016. These two recent referendum rejections are not the first setbacks. 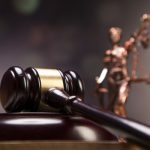 In addition to low public trust, certain other specific preceding events hurt the case for the acceptance of the appellate jurisdiction of the CCJ. Jamaica and Trinidad and Tobago withheld accepting the appellate jurisdiction at inception and have persisted in doing so. This lack of engagement has played out as an updated version of the collapse of the West Indies Federation after Jamaica withdrew following a referendum there in 1961. 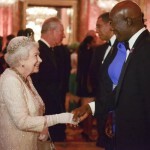 Nevertheless, had those territories that collectively accepted the appellate jurisdiction of the Court of Appeal of the Organisation of Eastern Caribbean States (OECS) come on board promptly, a fresh momentum may have developed. Incidentally not all of them had constitutional provisions requiring referendum approval—Dominica for instance—but that country only came on board in 2015. Meanwhile Jamaica, in 1998, had moved to introduce the CCJ in place of the Privy Council but legislation that did not sufficiently entrench the CCJ from future legislative attack was struck down. Then in 2009, St Vincent and the Grenadines put out a referendum but, as Grenada later did in its first referendum in 2016, St Vincent put the CCJ question together with a number of other matters unrelated to the CCJ. Photo: The Caribbean Court of Justice headquarters. That co-mingling of issues did not create a climate of trust or a debate environment on which the merits of the CCJ could be focused without all the other noise. Another negative came in 2015 arising out of events in St Kitts. The then incumbent government tried to alter constituency boundaries immediately before calling an election and a number of issues about the constitutional validity of how it was done were raised. In another column, I will complete the St Kitts story and tell of some recent self-inflicted wounds. My position in every respect is identical to yours,Brian,and we are not alone in this. Brian, I have other concerns too,like the quality of lawyers being produced in the region from which the judges, national and regional,will all be drawn in future. This seems a taboo subject but the last time I checked the legal education in this region did not make the world rankings. The period during which I fully supported the CCJ was when our competent, capable CJ( the last one of such ilk in my view) became President of the CCJ. Since then every institution has collapsed and I have a real confidence issue. After 15 years only 4 countries have accepted the Appellate jurisdiction of the Court. When I hear the current President of the Court speak I feel to weep because his utterances are too political and therefore inappropriate. I am guessing he was educated primarily or exclusively in the Region. The issue of lax discipline/oversight of medical practitioners is a great deal more nuanced than that. But as to the CCJ, fair questions remain. 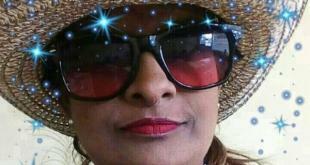 Naive Caribbeans still believe in a platonic ideal of justice. Look at the US Supreme Court and the contests of the Dems and the Repubs to get their man or woman onboard. Look at Bush v Gore, Look at the Supreme Court of the UK and the rebuke to Lord Hoffman on his participation in the Pinochet Extradition appeal, him being a member of the Charity arm of Amnesty International which filed a brief in that case. Look at Archie still heading the local judiciary. Daly probably know as much as I do but I never was able to help anyone get on the bench. All this agony of Our people about retention of Privy Council is because for the moment we who still must go foreign have a choice. The solution is to strengthen the oversights,transparency and accountability of our judiciary. For example Archie should never have been made a judge far less the CJ, and further there is more than ample basis to remove him. If Archie represents our standards no wonder we still like our justice cold. And No Archie I am not afraid of spiritual projection (obeah). Brian do you think your comment was really that complex as to elude understanding? The “but” should have clued you to the transition. Nigel , the fact is that you focused on the medical malpractice point when it was not the central point.!! Brian you should probably check either the meaning of the word “focus,” or your understanding of it prior to deploying it. I happened to author a recent report on the topic discipline in the medical profession locally and so I responded briefly to that point before commenting on the CCJ issue. If the comment on the medical industry became the focus it’s because you made it so. 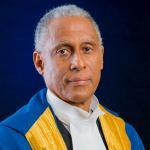 CCJ must do the hard work to build trust & confidence or else it will remain another failed Caribbean Institution. Start with the national Judiciaries. Don’t tell me about TRUE INDEPENDENCE when you admit you cannot run a refinery so you shut it down and revert to exporting crude & importing refined crude products, AND you hire a mediocre journeyman manager working at an Indian Oil company to lead our E&P Oil company while blanking the world-class local energy expertise. Or it has to do with a real concern about corruption and integrity which Caribbean nationals see almost daily in their societies.